Podcasts are increasing in popularity year on year, but if no one knows about your podcast then you’ll never see any of this potential traffic. To increase traffic to your podcast, and consequently the number of downloads that it gets, people have to be able to find it and the easiest way of achieving this is by submitting your podcast to a selection of key podcast directories. The traffic generated by different directories will vary tremendously, depending their popularity and type of audience they attract, and on the genre and topic of your podcast. While there are a plethora of podcast directories that you could submit your podcast to, in reality there are only a handful of directories that are likely to bring you any significant traffic. Although you could happily spend hours submitting your podcast to every podcasting directory under the sun, your return on investment is likely to be minimal. You’re far better skimming the cream off the top with the key podcast directories and using the time saved to promote your podcast elsewhere, in more effective means. Over time the list of the top podcast directories is likely to change and to this aim I hope to keep this resource updated to retain its relevance. All of the podcast directories listed below are currently FREE to use. iTunes is without doubt is the big kid on the block and if you don’t submit your podcast to any other directory then you should at the very least submit your podcast to this directory. To submit your podcast to iTunes you will need to have a copy of iTunes running on your computer, an iTunes account and your RSS feed URL. Stitcher is an excellent and rapidly growing place to submit your podcast to and they also provide some interesting statistics about the downloads of your podcast and the listening habits of your subscribers. Stitcher is available as an app for smartphones and is also installed in the in car entertainment systems of over 60 different vehicle models. Tunein is available as a mobile app and as a website for listening to podcasts and radio shows and they are currently looking to enhance their offerings to podcasters. To submit your podcast to this directory you need to e-mail podcasters@tunein.com with your show’s title, geographical location, cover art (1200 x 1200px, JPG or PNG, < 2MB), RSS feed URL, website address, genre, twitter handle (optional) and your e-mail address. doubleTwist is a popular cross-platform podcast app for mobile devices with its own directory. To submit your podcast to this directory you need your name, your show’s title, RSS feed URL, description, genre/category and your e-mail address. From their contact page you need to select Request New Podcast. Blubrry produce the popular PowerPress plugin for facilitating podcasting with WordPress which, with an appropriate Blubrry account, also offers a wonderful set of statistics for your podcast. The Blubrry directory is also featured in set-top boxes such as Roku. To add your podcast you need to create a free account and add your show’s title, keyword, category, website address and RSS feed URL. Libsyn are primarily a podcast hosting service that a lot of podcasters use to host the media files of their shows but have recently launched their Podcast Source app for Windows 8 and Windows Phone 8 that features all of the shows hosted on their system, but you can also add yours with your RSS feed URL and e-mail address. Miro is a cross-platform media player and podcatcher which has its own media guide / directory. To add your podcast you need to create a free account and add your show’s title and RSS feed URL. While the above list will give you a good start there are other podcast directories that may perform well for your podcast too. If after you’ve submitted your podcast to all of the above directories you still feel you should be submitting it to more, then the Podcast411 website maintains and regularly updates a comprehensive directory of podcast directories that should keep you entertained for hours. What podcast directories have you found to be most effective for your podcast? 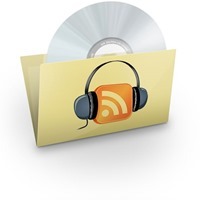 How to Use winLAME to Encode Podcasts What is a Podcast? 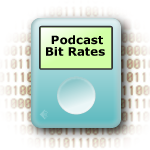 Choosing Bit Rates for Podcasts Which is the Best MP3 Encoder for Podcasts? Thanks for the precise submission info especially for mobile. Cell phones are surpassing PCs in generating Internet traffic, so it pays to have a complete mobile strategy, including using the right plugins so that your blog looks good for mobile users. Thanks Robert, you’ve got quite a good list of podcast directories on your blog as well I see. The blackberry address doesn’t resolve. Thanks Jason. I need to keep my eye on that in case it’s just temporary, or if they’ve pulled their service. Blackberry seem to have pulled their service, so I’ve deleted that option from the list. Yeah, not sure either, everything else seemed to go through. Thanks for your post. I used it in conjunction with Pat Flynn’s how to start a podcast because some of his information was old. Glad you found it helpful Jason and Pat Flynn’s podcast tutorials are certainly excellent. I’ve just listened to your podcast and for a new show I think it’s brilliant, very well produced. Thanks Richard. Keep up the good work on your blog. Good stuff. Amazing service. Thanks for all the best. Hi Richard, do you know if there’s a way to view the windows phone podcast directory via the browser (I’m on a Mac) ? I just launched my podcast today and this comes very handy, thanks a lot. I found many other lists to be pretty useless and old. Glad my list helped and thanks for the comment; good luck with your podcast. Thanks for this link. This post is very helpful for bloggers. I will follow all the steps on my blog. RSS feed is still effective. Well spotted, thank you Garret. All fixed now. Thank you for your interest in podcasts. Microsoft is no longer supporting an active database of podcast feeds for Windows Phone 7, Windows Phone 8.0 or Zune. Please see the instructions below for enabling podcast discovery in Bing. Windows Phone 8.1 uses a Bing-enabled search mechanism to locate podcasts. To improve the search results of your podcast, add “feed:podcast” to your keywords tag within the RSS podcasts feed. Podcasts can also be located by entering the RSS feed directly into the podcast app search window. By using Webmaster Tools, you can tell Bing about your site. In return, Bing Webmaster Tools tells you how well your site is performing in Bing and Bing-powered search and keeps you up to date about issues we see on your site. Within a few hours, you’ll see whether Bing successfully downloaded your sitemap or feed so that it can be indexed. Thanks very much for the update Ted. I’ve removed the Microsoft/Windows podcast directory from my list and hopefully the information in your comment will be useful to people as well (should they scroll this far down). This is a very helpful list. I have been having very steady growth of my podcast since I started it 3 months ago but I noticed big spikes when we were featured in the ‘new and noteworthy’ section of iTunes (which is only available for the first 8 weeks of a podcast launch). Then another spike in listeners when I submitted my podcast to Tune-in. I started with only submitting to iTunes, Stitcher and Tune-in plus few smaller directories but I have just surpassed 100,000 downloads. I will submit to all of the directories on this list and see how many more daily listeners I gain can in the next few weeks. Thanks for the current and useful links to the directories! You’re welcome Amy and good luck with your podcast; it sounds like you’re doing really well already. Recently I can understand the power of podcasting. Now I wish to go the world of podcasting. Richard, good list of podcast directories. Thanks for the post. You’re welcome and good luck with your journey into the world of podcasting. Great list Richard, really helpful and up to date. As a guy just getting started with podcasting, the one thing I find difficult to do is sharing a quick link for non-iTunes users, especially those on android. It’s often a case of getting them to either visit the website or download a specific podcasting app, to then search for my podcast. Do you have any tips for promoting a podcast to non-iTunes folk? Oh and also, I think there’s something wrong with the Miro link. It doesn’t seem to be working for me when I use it, or try and get to the login section via their main website. Probably just their website, but thought you should know. I’ve added Miro back as it seems to be live again. Hey Richard, nice post. We’ve setup a new podcast directory that we thought you might like to add to this list. http://www.allthepodcasts.com/ Allows the user to rate and review podcasts, and there are some fun social features in the works as well. Thanks! Thanks Stefan, it looks like a nice site. Although as it looks like there’s no immediately apparent way of a user adding their podcast to your list, then it’s not really appropriate for me to add it to a list of sites that users can submit their podcasts to. But thanks for the link anyway. We have a very inclusive directory and made it very simple to submit to poddirectory. We’re available on PC, mobile web, and Android. iOS coming soon. Just enter your RSS feed and hit submit. If all goes well your podcast is instantly available. Thanks Pat, I’ll take a look. MMApodcast.com is the leading directory/aggregator for MMA podcasts. It also has other niche categories: BJJ, boxing, yoga, wrestling, comedy, etc. Hi Johnny, Thanks for the link. A specialist niche (as I suppose most podcasts are), but I’m sure quite a few people will find it useful. Thank you for sharing great list of podcast submission sites. some of the website are not working. Thanks Manchun. I’ve checked all the links and found that the Apple one was outdated, so have updated that with a new link now. Thanks for letting me know.